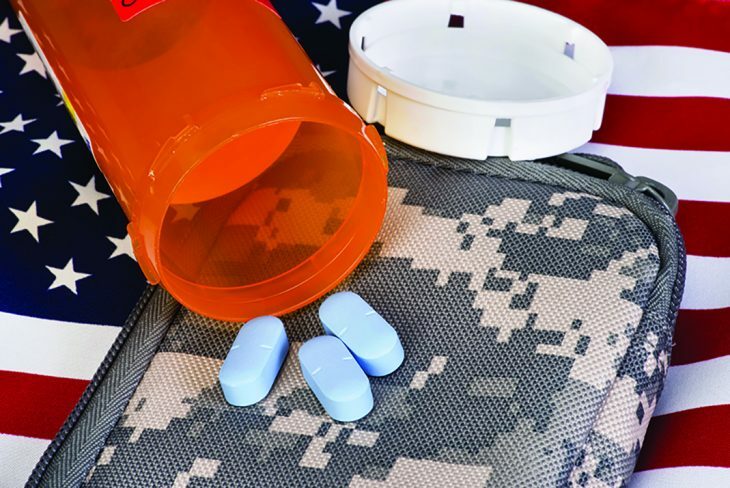 Effective February 27, the Department of Veterans Affairs (VA) will change the federal regulations concerning copayments charged to Veterans for medications required on an outpatient basis to treat non-service connected conditions. Estimates show that copayment amounts would increase three times over six years if the current regulations are left unchanged, but switching to a tiered system and freezing associated copayments will continue to keep costs low for Veterans. The new tiered copayment structure will decrease the costs of outpatient medications for most Veterans, aligning with VA’s goals to reduce out-of-pocket costs, encourage greater adherence to prescribed outpatient medications and reduce the risk of fragmented care that results when multiple pharmacies are used to fill Veteran prescriptions. Under the new regulation, copayment amounts would be fixed and would only vary depending upon the class of outpatient medication in the tier. The rulemaking will establish three classes of outpatient medications tiers with associated copayment. Veterans who currently do not have a copayment or are exempt by law will not be affected by the change. For information on VA health benefits or to learn more about the new tiered medication copayment structure please visit theVA Health Benefits website. Since the VA has stopped prescribing Soma (Carisprodol) several years ago, I have been miserable. I did have a doctor give me an outside prescription for about a year, but then he retired. I cannot understand why we can’t get this medication, because non-veterans can. It has something to do with the formulary, but what about us vets who need this for our muscles. The only thing them VA has to offer is Flexeril and Robaxin. It’s very upsetting to me. In pain……. I tend to agree with ALL Veterans who posted regarding this matter however, the bottom line to all of this Political BS is $$$$$$$$$$$$$… The more medications the pharmaceutical companies give to the VA via contracts, the more money these companies & their CEO’s make. Look at why President Trump wants to streamline & eliminate the VA & care for veterans–($$$$$$$$). President Lincoln’s promise is just a sham & it has not been fulfilled since President reign enacted the Cost Recovery Act as well as; President Trump revamping Obama Care which is also about $$$$$$$$. If any veterans notice that the regulations for NSC differ from the regulations for SC conditions; $$$$$$ is the key component which only benefits the companies with VA contracts; the doctors & the companies that make the medications; that’s why the generic factor was also included as an alternative to veterans having to pay so much for medications that they do not need to take. You know, charging Vets is a breech of contract. When I, along with all other vets were promised FREE and adequate health care for life. Our health care is far from adequate and since Ronald Reagan’s Cost Recovery Act, our health care has not been free, except for service connected problems. will this apply to veterans on SS with Virginia BC/BS ??????????? Will this apply to veterans receiving SS with Anthems BC/BS in Virginia? Both my 91 year old father and my husband are veteran’s and both disabled, but we have had very good luck here in Oregon with the VA medical systems. There’s always bumps in health care providers, just try Kaiser for example… you should engage the help of an advocate if possible, they will know how to get through the red tape. The processes can be very time consuming, but it has been good care for both of them so far. It’s apparent that all the “hype” and “hoopla”, over veterans, doesn’t really matter at the government level. Spending billions to get refugees over here, takes precedence. After Viet Nam, I get to make a copay for my scrips now. Getting blown up and watching others did doesn’t matter now. Let’s go “Donald”, makes this thing right. All medical care should be paid, for ALL veterans. Period! If you can, forget VA for meds. I get my meds thru Express Scripts (as a med retiree frm the Army) and pay nothing – even shipping is free. I’m not sure what their requirements are, but it would behoove many of you to check out their website to see if you qualify for their services. Where on the VA site may one find a listing of drugs by tier? I have 6 scrips from the V.A. and pay 9 bucks each per mouth. I have recently gone on early S.S. retirement due to not being able to stay on my feet to work my job. I am now trying to decide which med’s to stop to save some money each mouth. I have found that local independent pharmacies actually charge less on generic drugs than buying through VA. The higher priced drugs are better purchased through VA but compare to the costs of each. I can get 90 days of generic products for $10 at WalMart! Absolutely the best care ever through the VAMC since 1992. Thanks for helping so many Vets every day ! Decrease cost of co-pay for non sc issues is good news. My sc amt usually covers the cost. Fortunately, the cost is minimal as I minimize utilization of the VA’s services due to being retired Vet. The VA has made positive changes since 1992. Although I applied for sc disabilities at retirement was recognized for zero percent on one issue and 10% on another. Denied sc on chronic back, neck pain. Also denied sc of Hypertension, Diabetes, Hearing loss and Fibromyalgia. After suataining a TBI non military now require increase intervention, along with being recognized by SSA as 100 % disabled, Medicare helps along with VA no charge for follow up care helps . My opinion of the VA has changed due to my experience recently, just took 14 yrs before using. Hoping the political winds of change doesn’t have a negative effect. well it’s about time even thou we still won’t be able to get any drugs or prescriptions from you due to our benefits and pay is not enough to even live on with all the injuries we have I’m unable to stand up anymore I keep falling down and can’t get back up thank to, you a-hole I was wounded in the Vietnam war and had my body crushed by a jeep and a 106 recoiless rifle cannon and life ammo now trying to walk with a cane but not doing goodat all. I have been trying to get the VA Northport Pharmacy from charging for service connected medications for over 6 years. Unbelievable that they can not identify individual visual medications as service connected versus. Non-service connected. Does anyone else have this problem. I have called, sent lette s and contacted my congressman. No one cares. I can afford to pay the copay, but it is the principal that we should not be charged a copay for service connected disability. I am concerned that my fellow veterans when are having financial difficulty are being charged. The last bill I received stated they would beducting the amount due fro my disability payment. They just ignore an correspondents. Excellent point, Rich. BTW, service connected shouldn’t be an issue. Since Viet Nam, my whole life has been SC. Just take ALL you Co pay meds off your taxes then. I would put everything I can on my taxes. Your tax personal knows this. If all these people are Not paying taxes, you can legally put this kind of item. Hooah! ! ! Go to the ombudsman or patient advocate at eh VA hospital where you are treated. Since the late ’90s, I have been receiving one ‘opiate,’ or another, as well as 3 other ‘pain killers’, to be taken all at once (4 times a day). All under the guise of “pain management”, since ‘they’ haven’t come up with a way to cure a Severed Nerve, caused while I was on active duty ( the “accident” actually happened in the mid ’80s). In 2006, I started receiving a “bill” for one, to be followed by another “bill”, then another, and still another…a few months apart. Of course, I contacted the VA (each time I received one of these) to contest these “bills”, and was told they would look into it…(I did receive 2 checks-one for $ 13.00 & one for $28.00), because I spoke to 2 different people. Oh! I didn’t mention, I DID NOT pay on these “bills” (averaging, $130.00 each)! But, not to worry, I HAVE been making ‘automatic payments’ (4 times/year), since 2006 or 7. I guess, I am just waiting, for this debt to get to the “10s of thousands”, before REALLY fighting for someone to assist me…because my phone calls are connected to deaf ears, my letters discarded, unopened. No where can I find how to appeal Tier level placemen in the new plan. For the past 10 years I apparently have been paying for brand name drugs (Tier 3) when in reality I have been receiving generics (Tier 1)..